This is a scene from last year Saratoga Comic Con at Saratoga Springs City Center. 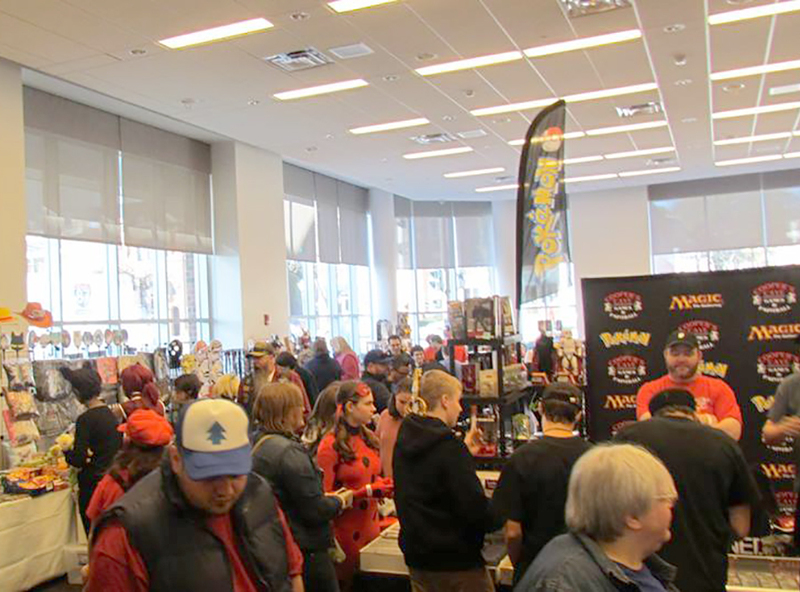 The eighth annual Saratoga Comic Con, a convention about all things comic book super heroes and pop culture, will be held Saturday and Sunday, Nov. 17-18, at Saratoga Springs City Center, 522 Broadway. The event will run Saturday, 10 a.m. to 6 p.m., and Sunday, 10 a.m. to 5 p.m. VIPs get early access at 9:30 a.m. each day. An after-party is scheduled 6-10 p.m. Saturday at City Center, catered by Distinctive Catering. The show floor will include: vendor and artist dealers from all over the world, guest artists, celebrities, gaming, Super Smash Bros. tournaments, Magic: The Gathering Table Top Gaming, cosplay contests, panels, events, tattooing, live podcasts, the 1966 Batmobile, a bouncey house, and other pop culture fun. Some proceeds will go to the American Foundation For Suicide Prevention. Online speed pass tickets are $20 for Saturday and $15 on Sunday. Weekend tickets are $30 and VIP tickets are $60 and $80. Family/friend ticket discount packs and military/student/senior discount tickets can be purchased online. No online specials can be purchased at the door. Children 6 and under are admitted free.